The New Year ceremony observed at Shurijo Castle on New Year's Day during the Ryukyu Kingdom era was called "Chohai-Okishiki" (morning worshiping regulation). The King and other officials of the Ryukyu Royal Court lined up in the courtyard and participated in a solemn traditional Chinese ceremony. 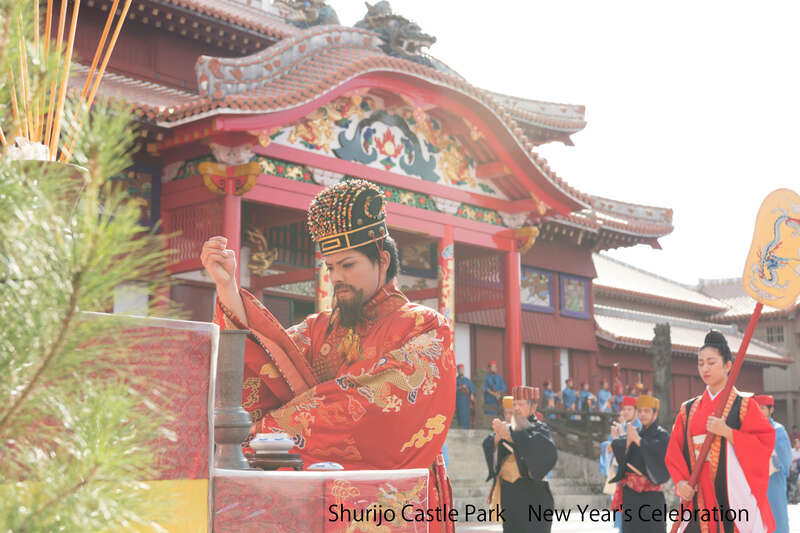 Please enjoy the New Year 's Day of the Ryukyu Kingdom, which welcomes the New Year with gorgeous and vivid colors. ※Viewing from the Una Courtyard in front of Shurijo Castle Seiden requires an entrance fee.